24th March 2016 was a very special night for me. It’s a night of many first times for me… Firstly, I’ll be one of the first lucky people in Malaysia to watch BATMAN v SUPERMAN: DAWN OF JUSTICE™ (thanks to PERFECTÒ, Fox Movies Premium, and Nuffnang). 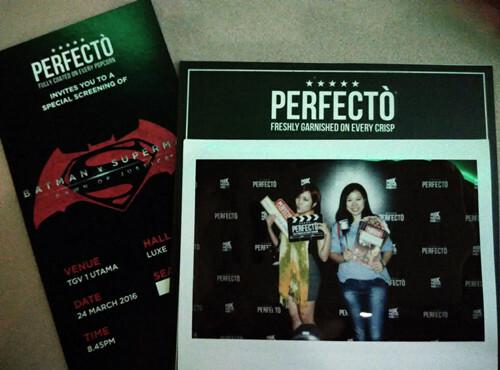 Secondly, it’s my first time having buffet as well as watching blockbusters in TGV LUXE cinemas, and thirdly it’s my very first time snacking on PERFECTÒ chips and popcorns while watching a movie! Here’s some photos of the night to commemorate such an exciting night! 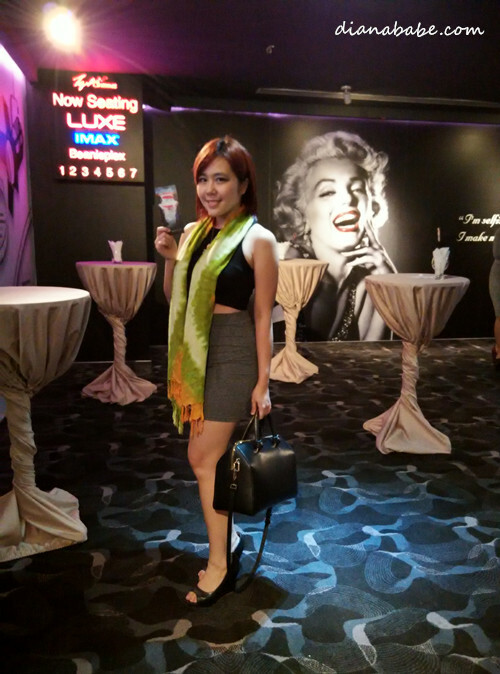 First time stepping into TGV Luxe! To be honest, it’s the first time I’ve seen a movie in cinema, eating Perfecto snacks other than cinema concessions. Not only that, I also get to bring home the special movie kit to enjoy Perfecto popcorns at the comfort of my own home! Thanks Wondermilk for the extra snacks too! Also, I get to enjoy popcorns at home for the first time. Perfecto popcorn made my movie experience at home felt just as good as watching it in the cinema. What’s better than to snack on Perfecto popcorn while staring at the pumping adrenaline action on the screen & with HENRY CAVILL looking stunningly out of this world HOT ? 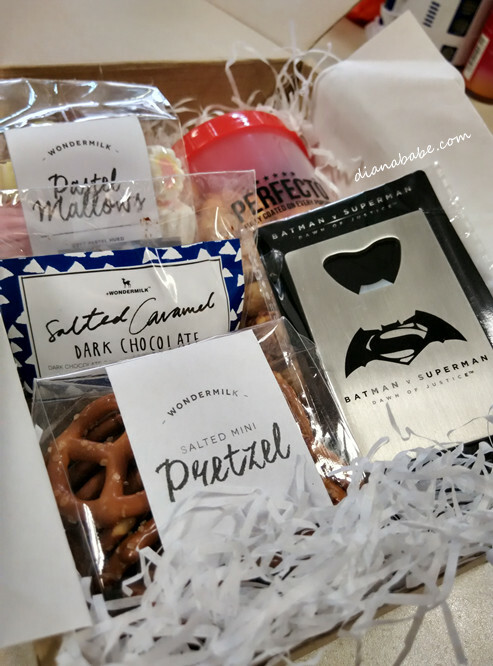 So now with the absence of gorgeous Superman, I managed to have a better taste of PERFECTÒ popcorn at home, continuing another movie marathon with more – my verdict: each popcorn is actually fully coated with even coverage of caramel and sweetness! Also, even when I leave the popcorn lying around, they won’t go soft and soggy like typical popcorn does. 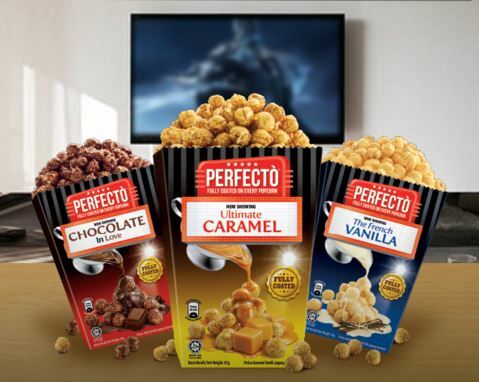 While PERFECTÒ popcorn comes in three flavours – The French Vanilla, Ultimate Caramel, and Chocolate In Love, I find it hard to decide which one is my favourite. How about you: what is your favourite flavour? And back to my original question, are you team Batman or Superman? 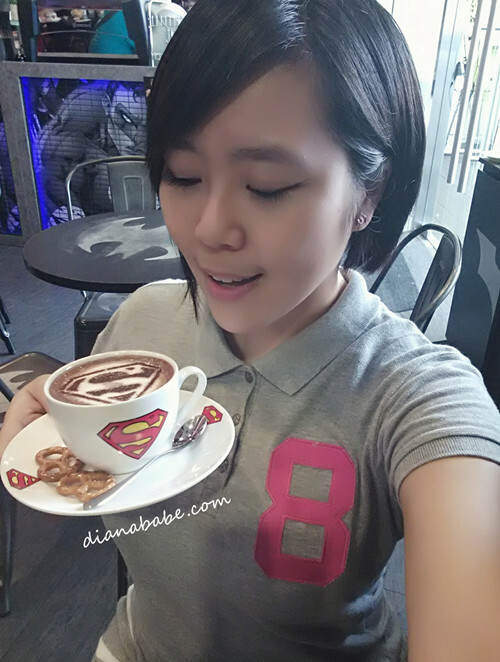 Do comment and share with me which one you love the best!